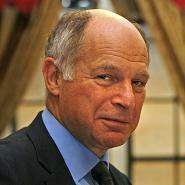 On 6 April 2010 this year, it was announced that Lord Neuberger, the Master of the Rolls, had set up a committee to examine the issues around the use of injunctions which bind the press and so-called ‘super-injunctions’. On Monday it was reported in the “Times” that the Committee is devising a template to be used by judges when privacy injunctions are applied for. The story is behind a paywall but is picked up here by the Press Gazette’s “Wire” blog. The “Times” does not give a source for the story and I understand that the Committee has not met recently. If, however, the Times report is accurate, then it will be widely welcomed by practitioners. A “standard form” template – with derogations being permitted in appropriate circumstances – will mean that everyone knows where they stand. It is, however, important to have wide consultation on the precise terms of the template before it is written into the Civil Procedure Rules. At present, different practitioners have evolved different “forms” for such injunctions – each designed to deal with specific issues. A number of these have been the subject of specific judicial decision – in both “public” and “private” judgments. These issues need to be addressed in the final “standard template” before it becomes “set in stone” in the rules. There are two other interesting points which arise from the report. The first, concerns the reference in the story to a recent “super injunction”. If that term is being used in the ordinary sense – that is, an injunction which, by its terms forbids reporting of its existence – the Times story would appear to be a breach and hence a contempt of court. Most recently according to Monday’s article in the “Times”, “in the past 12 months national newspapers have received notice of roughly one injunction a month”. In other words, it appears that this dangerous “injunction” phenomenon is operating at a very low level – with an average of something like one a month. This may be something of concern to the media but, on these figures, does not seem to be something of pressing everyday concern. In a previous post I mentioned that the terms of the judgment in the now notorious case of Terry v Persons unknown indicated that the interim Injunction was not a so-called superinjunction. Marcus Partington has pointed out that despite the terms of the Judgment from Mr Justice Tugendhat , the actual order itself is indeed a superinjunction. I have now seen a copy of the Terry order. Under paragraph 3, the claimant’s name was anonymised. By paragraph 6 the (unknown) respondent was restrained from publishing or communicating (1) the existence of the proceedings or the claimants’s interest in the proceedings and (2) all or any part of the confidential information ( as set out in the schedule ). The “superinjunction” part of the order is the restraint on publication of the existence of the proceeding. It is not clear whether there is a discrepancy here or if not what the explanation is for the divergence between the terms of the judgment and the terms of the Order.